Benjamin Franklin is an unforgettable delight for any convention, meeting or gathering. As Ben, Chris has performed for intimate business meetings of fifty and conventions of nine hundred fifty. He is comfortable and experienced in molding each presentation to the needs and wishes of each, individual client and works carefully to make each performance historically accurate, lively, and fun. 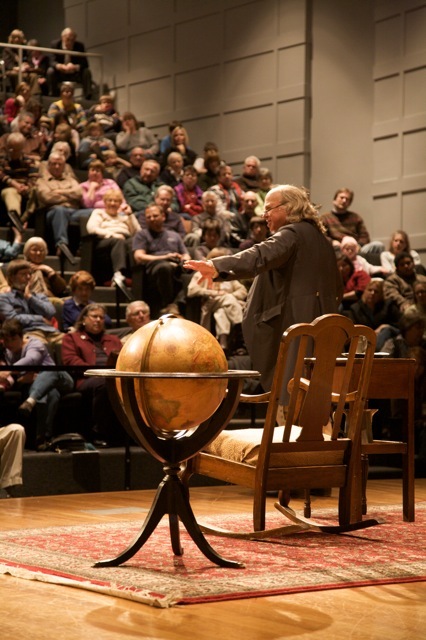 Electrify your audience with a visit from "The First American," as many have called Benjamin Franklin.